A great day in Berlin at the Atlassian Team Tour1. Interesting presentations from Atlassian and use case stories from Jira users from a variety of industries. Free beer. Plus an excellent opportunity to catch up with Solution Partners. 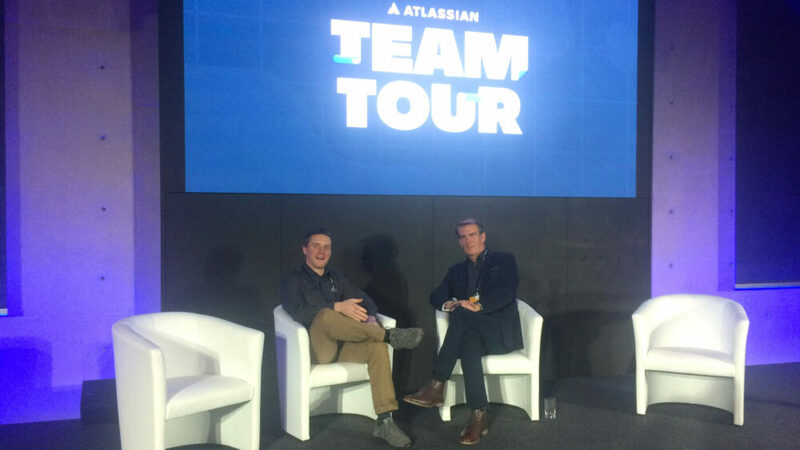 1 Atlassian is touring 10 world cities, Feb to Apr 2018 to promote teamwork – Amsterdam, Paris, Berlin, London, Austin, San Francisco, Chicago, Washington, Sydney and New York. 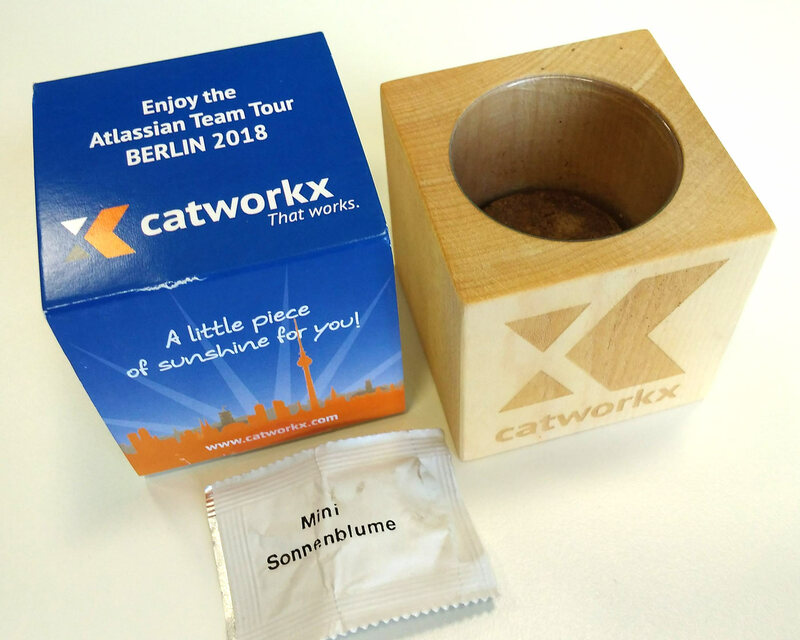 catWorkX ingenius gift, grow your own sunflower, soil and seed included. So water is all you need. Check the below picture of grown plants. 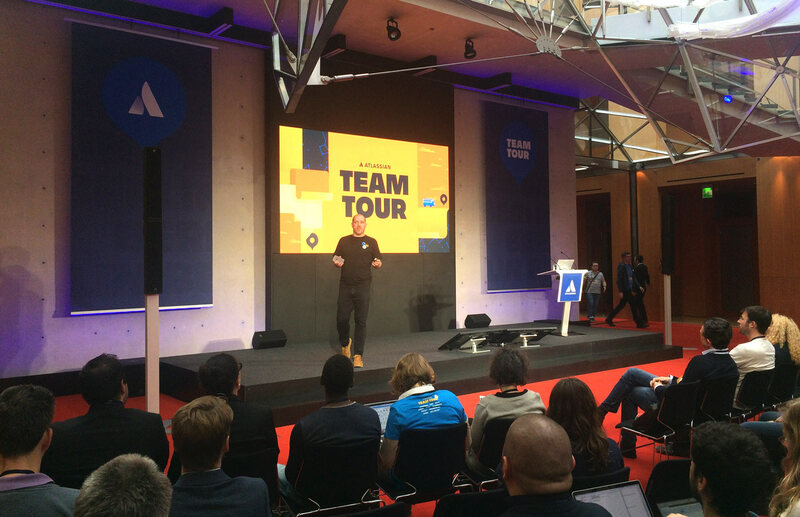 An amazing location – Atlassian Team Tour took place in the very heart of Berlin, next to Brandenburg Gate, a few minutes from Potsdamer Platz on 15th February 2018. Guess at what time did the event begin… Surprisingly, it all took off as late as 1 p.m., to finish at 7 p.m., including socializing. What amazed us? 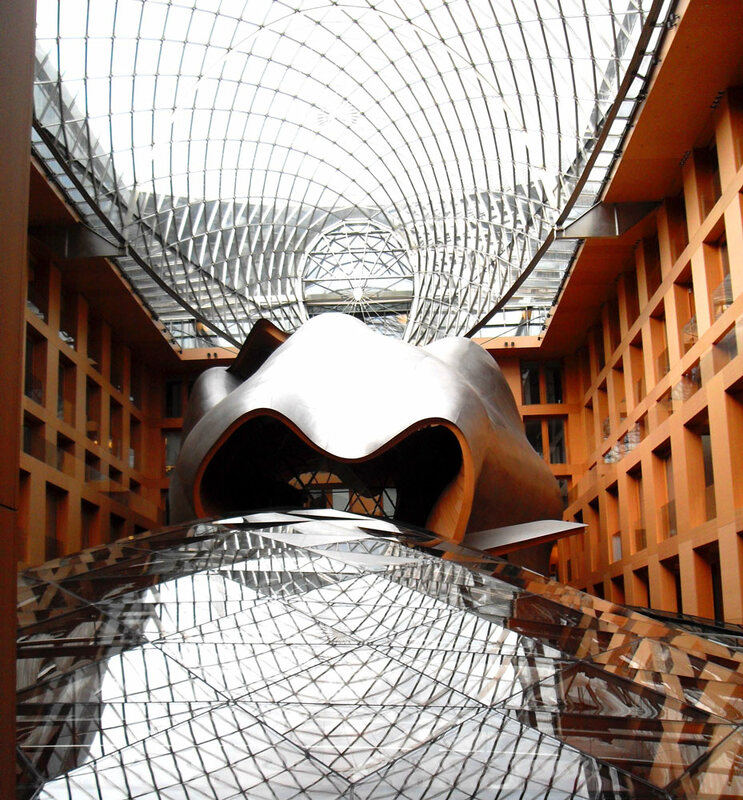 The architecture of AXICA Convention Center – Pariser Platz 3. Euro 49 per person, for all sessions, swag and networking. Atlassian, however, did not use their usual egalitarianism this time. They accepted two out of three names we submitted for the event. Intended to cure sicknesses in teams, Team Playbook plugin for Confluence is there to identify issues that stop teams from being dynamic and enthusiastic. While the plugin’s website with its “Already know why you’re struggling?” section is undoubtedly helpful, we couldn’t resist a feeling Atlassian used the event to heavily promote Team Playbook. 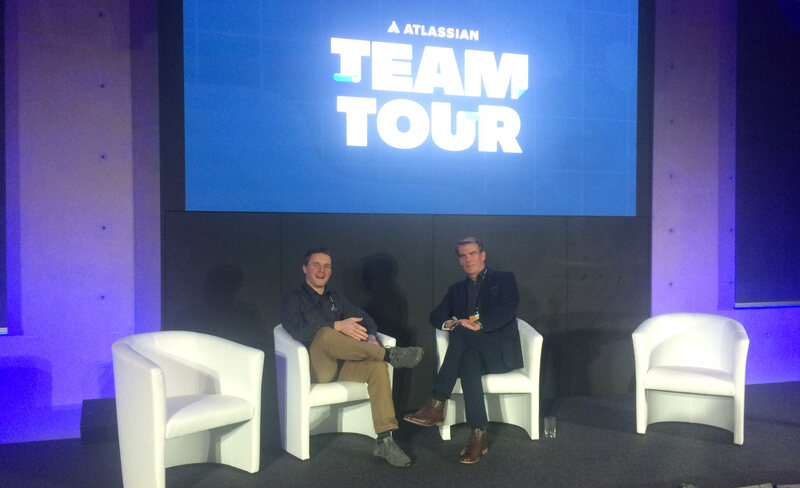 We must admit, however, that Atlassian used the word “team” evenly throughout the entire event. Impressive architecture of AXICA Congress and Convention Center. 100 m from Brandenburger Tor. A premier bus transportation company in Germany, presented the Jira users’ point of view. They literally stated that without the effective issue tracking of Jira, they would have never been able to operate that logistically comprehensive business. We take the liberty of quoting them directly: T-Systems is the global IT consulting branch of Deutsche Telecom. Hear from Markus Willner and Manuel Sandke about how they’re helping companies large and small go agile with the Atlassian suite. “Mix, mingle, network, sell SoftwarePlant PPM apps. Plus free beer. 5 to 7 p.m.” – our delegates’ point of view. 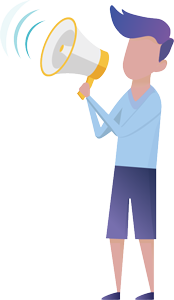 “You’ve got to be listening to our Solution Partners”, “Keeping our finger on the pulse of Atlassian Community” – surely the Atlassian’s point of view. eazyBi sponsored beer and provided these useful napkins. Atlassian surpasses themselves in catering department. 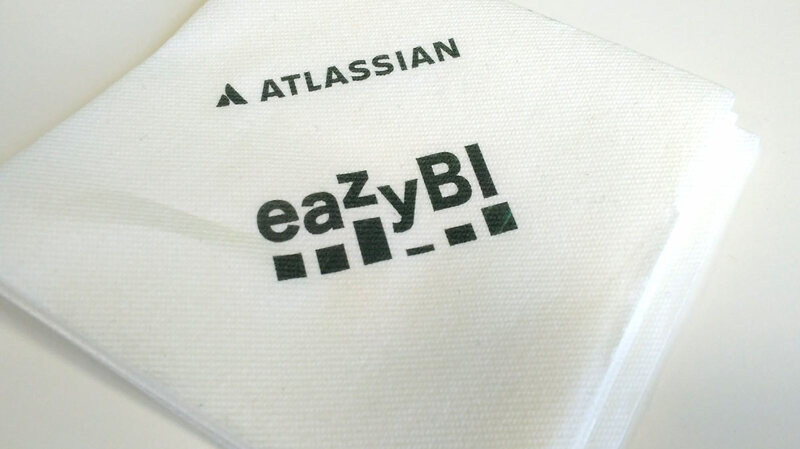 We appreciated the delicious buffet, tasty Berliner Bratwurst (smoked sausage), wine and beer, notably sponsored by eazyBi, who provided those interesting napkins too. 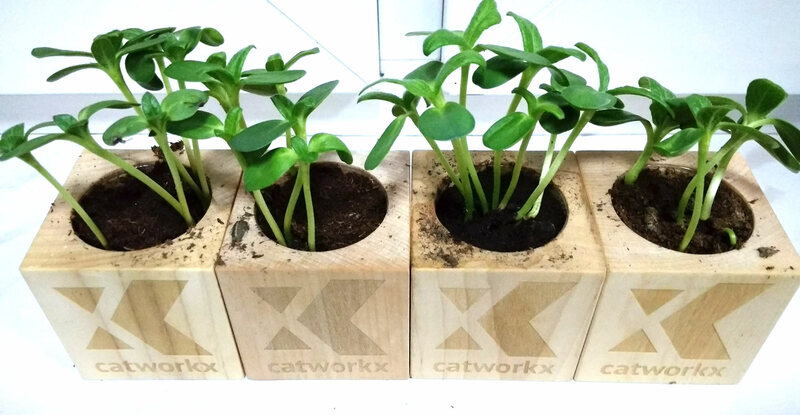 Even more engaging gadgets were given away by catWorkX, our congratulations on the environmentally-friendly grow-your-own-sunflower sets, pictured. The question of the SoftwarePlant deputy got answered during the Q&A session. 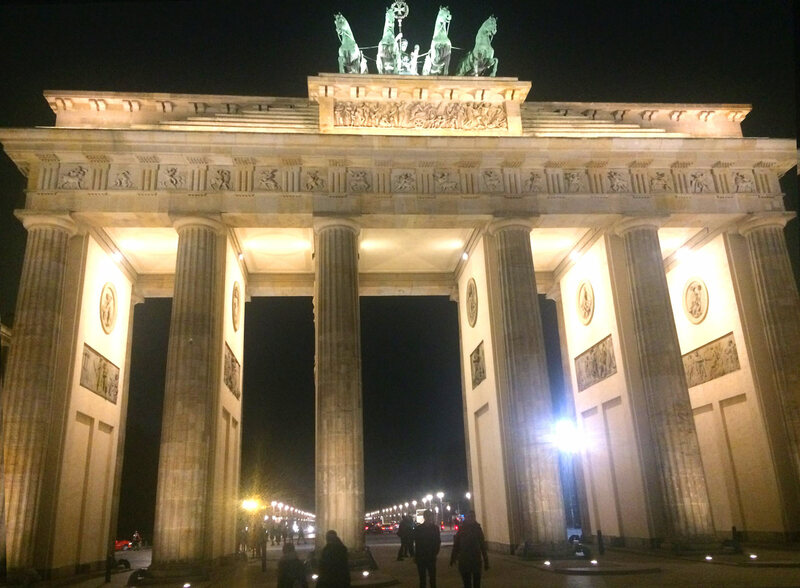 As Atlassian Team Tour ended at 7 p.m. we left AXICA only to see this wonderful vista – Brandenburger Tor. Four-node cluster of catWorkX plants one month after the event.